The UK Government is introducing a law which prohibits Claims Management Companies charging fees over 24% (inclusive of VAT) for PPI claims. This becomes effective from 10 July 2018. 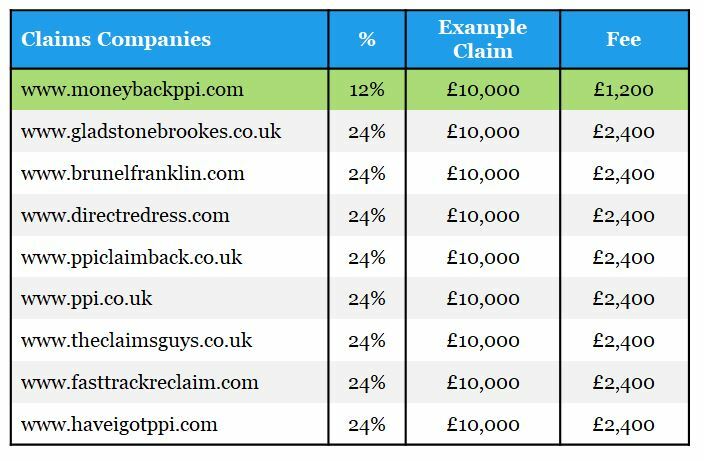 This does not affect Moneyback PPI as we have always had and still offer one of the lowest fees 12% Total Charge (10% Fee + VAT). *All fees quoted correct at the time of checking in July 2018.